Fewer than seven months after Immigration and Customs Enforcement (ICE) Deputy Director Thomas Homan issued a directive that called for increased worksite enforcement investigations to ensure U.S. businesses maintain a culture of compliance, the agency’s Homeland Security Investigations (HSI) has already doubled the number of ongoing worksite cases this fiscal year compared to the last fully completed fiscal year, the agency reports. 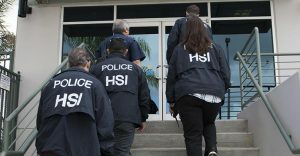 A notice of inspection alerts business owners that ICE is going to audit their hiring records to determine whether they are complying with existing law. Employers are required to produce their company’s I-9s within three business days, after which ICE will conduct an inspection for compliance. If employers are not in compliance with the law, an I-9 inspection of their business will likely result in civil fines and could lay the groundwork for criminal prosecution if they are knowingly violating the law. All workers encountered during these investigations who are unauthorized to remain in the United States are subject to administrative arrest and removal from the country.